For small business owners who've determined it's time to make the switch from spreadsheets to an expense management solution, the process can seem daunting. What are the considerations to make to ensure your new solution meets the needs of your business, and that the transition is made as seamlessly as possible? We have six considerations to keep in mind when shopping for your T&E solution. While it can be daunting to wade into the world of accounting software, there are benefits to be had for the savvy small business owner. With that in mind, we’d like to walk you through a few best practices on finding expense management software that works for you. 1. 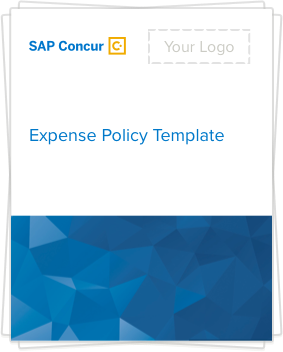 Policy compliance: A good business expense management solution will make it easy for you to apply your policy to it, setting limits on what can be expensed and sending you an alert when someone is outside those policy limits. You can even set caps so that your employees can’t submit expenses above a certain amount. Look for a solution that automates policy checks so that you can quickly see whether any policies have been violated without having to check every charge. 2. Reporting & visibility: It’s important to know how your business is spending its resources, and a good solution will make this easy on you. Look for solutions that offer dashboards with preconfigured reports, so that you can quickly see what you need to see without having to pore over raw data. For example, if you can separate expenses by project or client, you’ll get a good idea of which clients are most profitable. 3. Cloud-based: One of the great things about the cloud is that you don’t have to pay for a bunch of hardware to run your solution on—and you don’t have to pay hundreds of dollars for a boxed set of software. With a subscription-based solution, you can automatically get the most up-to-date version of your solution without having to apply patches or go through a lengthy update process. 4. Integration: This is what separates the wheat from the chaff: the ability to integrate the new solution with the rest of the applications in your environment. A solution that offers an ecosystem of partners can help you maximize your investment. For example, one Concur partner offers tax-back services, helping Concur users reclaim VAT tax. 5. Migration: Look for solutions that offer an implementation team to help you get set up with all the features you want and get you tarted with using the system and transporting your data from one system to another. In short, look for a company that doesn’t make you set up everything from scratch and is there to assist you along the way. 6. Ease of use: Make the most of a new solution by finding one that automates rote tasks and makes it as easy as possible for you to do what you need to do. For example, capturing receipts—look for a solution that offers optical character recognition, so that just by taking a photo of your receipt with your smartphone, you’ll capture all the text in that receipt and it’ll automatically be logged as an expense. Download the whitepaper to learn more about how effective spend management boosts performance.